Starting in December of 2016, Nathan Marsh has been working as a Sound Artist Mentor in Burnaby North Secondary School’s Music and Technology program under teacher Kevin Ault in collaboration with the Western Front Society. 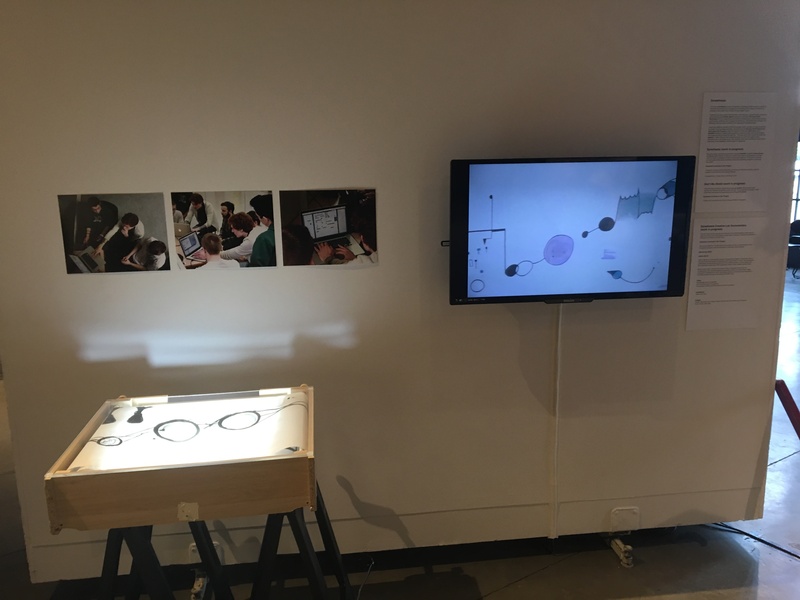 The students in the class prepared works of sound art involving software such as Max MSP and Isadora to incorporate improvised sound-making and visuals along with a graphic score presented in a lightbox (seen above). The work is being presented from May 1 – 6, 2017 as part of the Sonic Playground exhibition at the Roundhouse Community Arts & Recreation Centre in Vancouver. Burnaby North Secondary School exhibition, Sonic Playground, Vancouver, BC.